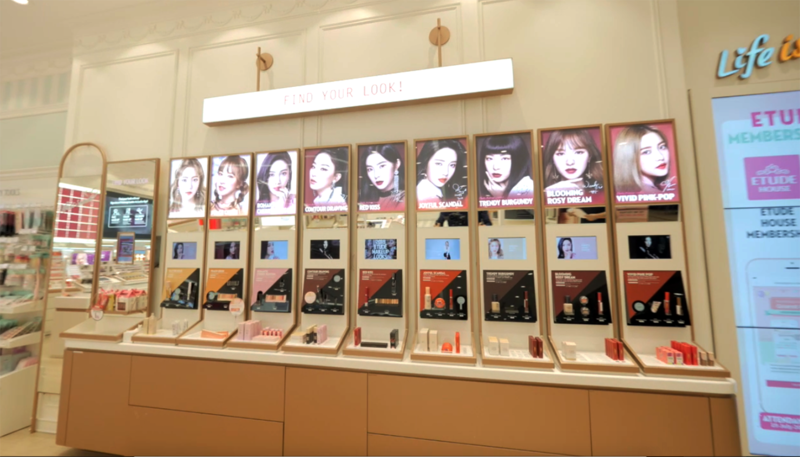 #PamperMyGiveaway: See The Sweet New Features Of Etude House’s Revamped Flagship Store At Sunway Pyramid To Win Attractive Prizes! Etude House Malaysia’s Sunway Pyramid flagship store is celebrating its 1st Anniversary this month! In conjunction to its anniversary, the store got a some revamps too which you have to check out! 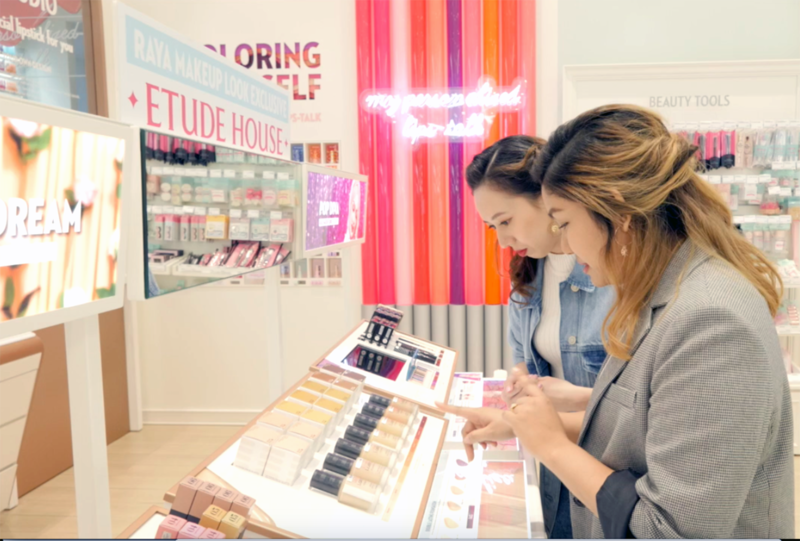 See what are the sweet new features you can explore in our store walkthrough that we did with local beauty influencer, Shivani aka Penmyblog! 1. 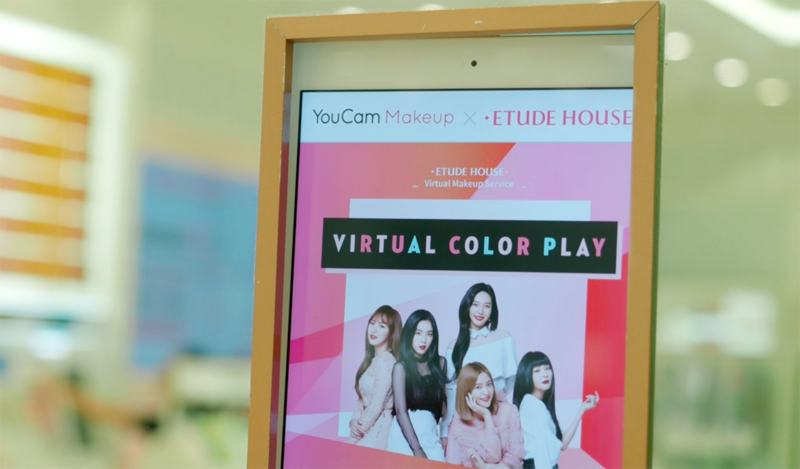 Find your signature look out of the 9 new looks worn by the Red Velvet girls at the Etude Makeup Looks Zone. 2. Try your chosen look or all of the 9 looks on the YouCam Makeup App through the camera filters. 3. Explore the Hijab Makeup Zone where you can find up 7 new tan shades of Double Lasting Foundation (in total there’s up to 19 shades and it’s said to last up to 24 hours!). 4. 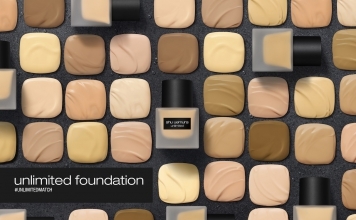 Make your foundation last even longer with the help of a good base such as the crowd favourite, Face Blur! 5. 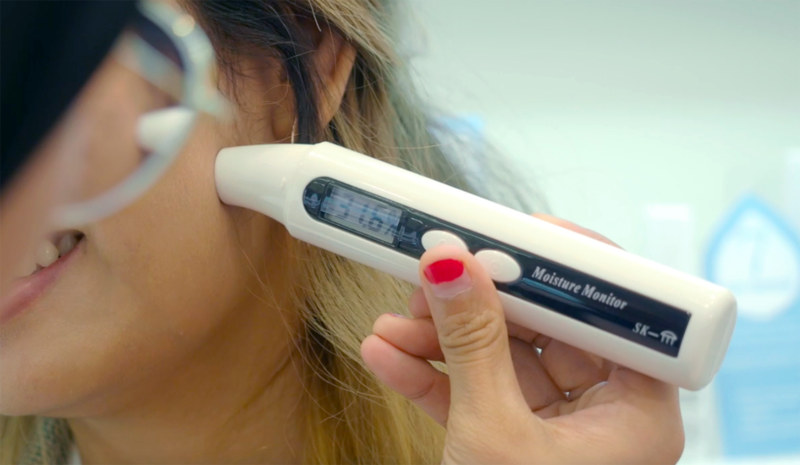 One way to get ‘glass skin’ is by following the 7-Skin Method – a multi-application toner technique to hydrate your skin, but before that, find out what is your skin’s moisture level through the skin analysis. 6. Get free point-makeup done at the Makeup Studio when you spend more than RM250. 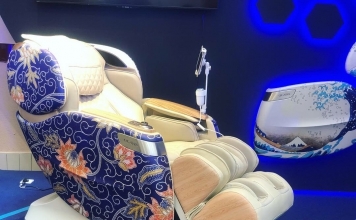 Members also get to attend free exclusive makeup classes and workshops. 7. 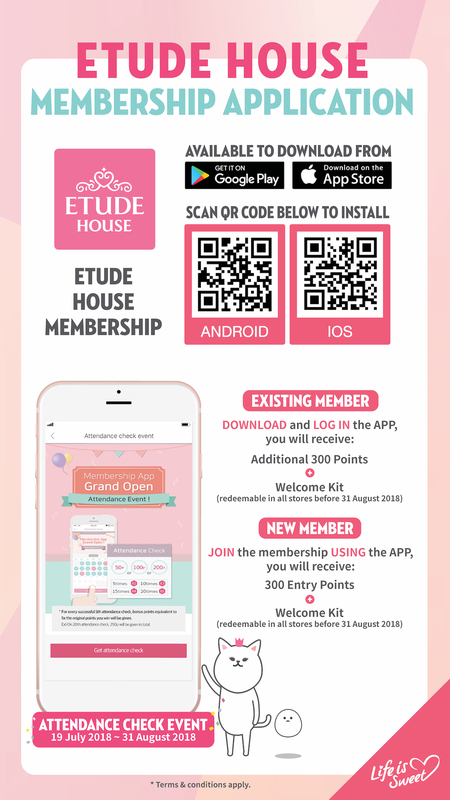 Download the new Etude House Membership App (if you download from today to 31st August, you get an extra 300 points and a welcome kit)! 8. Now you get to choose between black or gold colour engraving for your Etude House products! Etude House Mini Two Match – available in 5 different textures and 27 different shades! 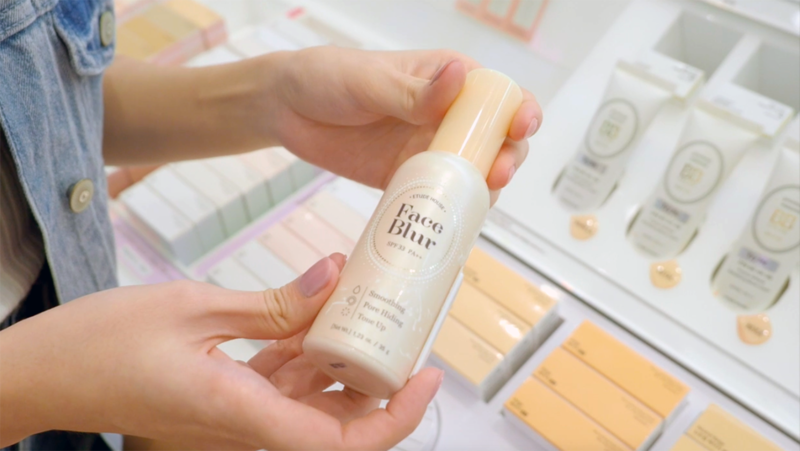 So many awesome features to check out in the revamped store, you definitely have to bring your loved ones over to join in on the K-Beauty fun. 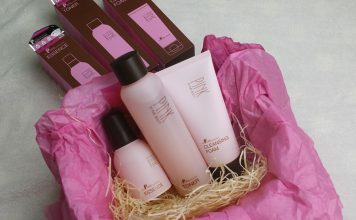 #PamperMyGiveaway: WIN Yourself Etude House Goodies and Full Makeup Service worth more than RM1,900 in total! Start your K-Beauty journey and feed your obsession because we’re giving out Etude House goodies and full makeup service (total worth RM483 each) to four (4) lucky winners who will be chosen randomly on both Pamper.My’s Facebook & Instagram. The full makeup service can be redeemable at Etude House Sunway Pyramid or Etude House Sunway Velocity. Tag two (2) friends and name one of the new features you want to try at the revamped ETUDE HOUSE Sunway Pyramid in the comments section. 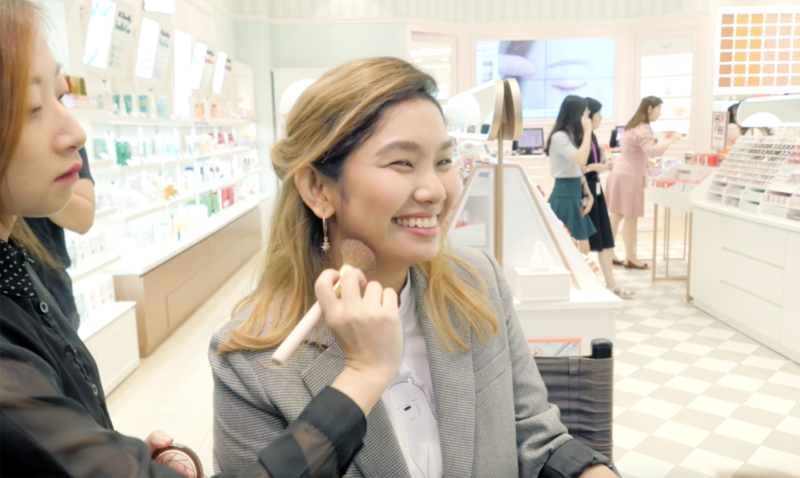 Bonus tips: For an extra chance to win, subscribe to our YouTube channel and like Etude House x Pamper.My video that’s featured on our YouTube channel. Make sure your account is made public. So keep your eyes peeled on our video to get the answer and stand a chance to win attractive Etude House goodies and makeup service! Closing date: 21 August 2018 (Tuesday) before 11.59pm. The contest is open to all Malaysian residents residing in Malaysia aged 18 and above. Winners are required to submit their personal particulars including their name, NRIC no., mobile no., email address and correspondence address for verification and prize courier. Any incomplete and incorrect submissions received will be rendered null and void. Winners will be announced on Facebook & Instagram and the winners are required to contact Pamper.My within a certain timeframe. Winners are required to collect the prizes from Pamper.My’s office or any other location as designated by Etude House Malaysia. Winners will have to bring their I.C. with them when collecting the prizes for verification purpose. Prizes may not be exchanged for cash and are not transferable to another person. This giveaway is not associated with Facebook, Instagram and YouTube in any way. All decisions made by Pamper.My are final and no complaints will be entertained. Pamper.My reserves the right to amend the contest rules, terms and conditions or terminate the contest at its sole and absolute discretion. 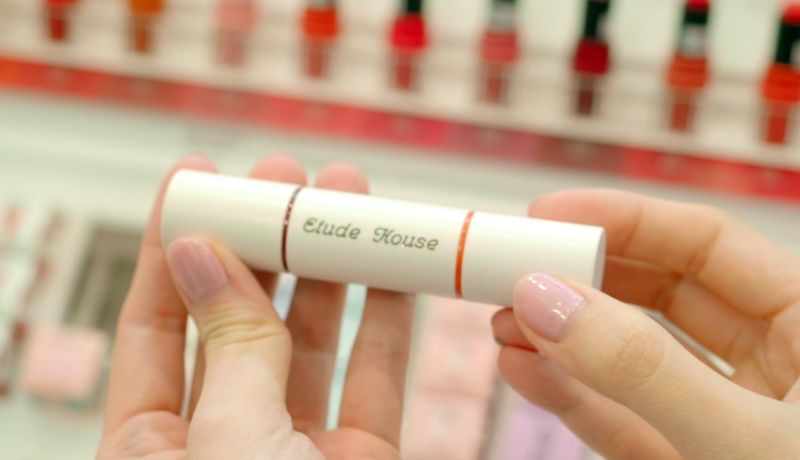 Drop by the revamped Etude House’s flagship store in Sunway Pyramid (Lot G1. 76), its new store at Sunway Velocity Mall (G-50, Ground Floor), and its official store in Lazada. Follow Etude House Malaysia on Facebook and Instagram for the latest updates. Read also: The New Etude House Active Proof Skincare & Makeup Collection Is Perfect For The Active & Adventurous! 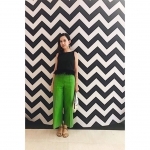 Previous article#Scenes: Korean Makeup Brand, Merzy Is In Malaysia!